What parts cleaning equipment is right for your needs? When it comes to parts cleaning equipment, you have a wide range of options. Depending on what type of parts you use and produce, the processes involved, and the end markets in which your products are used, your parts cleaning equipment needs vary. Choosing the right parts cleaning equipment can be a somewhat complicated process, however using cleaning equipment that is designed specifically for your needs will increase efficiency, improve productivity, and enhance product quality. 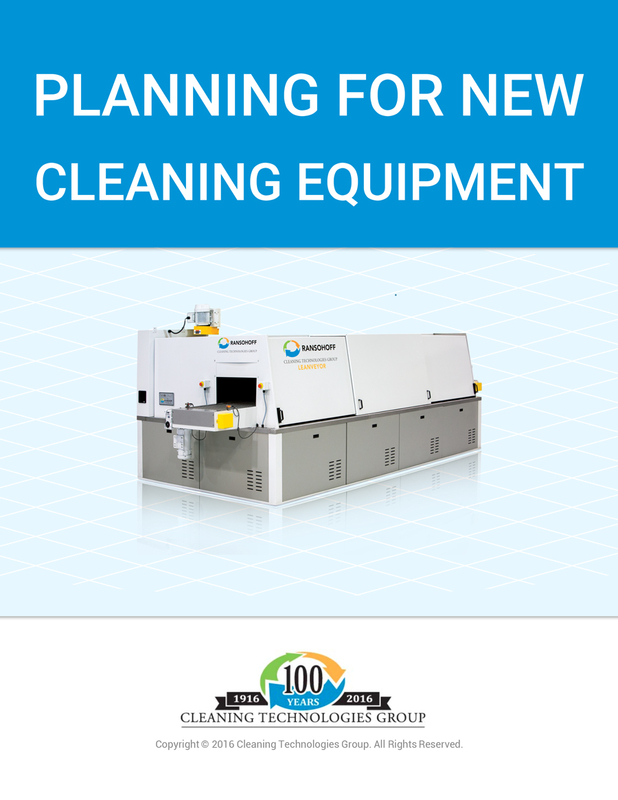 Our free guide to Planning for New Cleaning Equipment will assist you in the process of selecting the best parts cleaning equipment and preparing for the integration of that equipment into your process and facility. StateAlabamaAlaskaArizonaArkansasCaliforniaColoradoConnecticutDelawareFloridaGeorgiaHawaiiIdahoIllinoisIndianaIowaKansasKentuckyLouisianaMaineMarylandMassachusettsMichiganMinnesotaMississippiMissouriMontanaNebraskaNevadaNew HampshireNew JerseyNew MexicoNew YorkNorth CarolinaNorth DakotaOhioOklahomaOregonPennsylvaniaRhode IslandSouth CarolinaSouth DakotaTennesseeTexasUtahVermontVirginiaWashingtonWest VirginiaWisconsinWyomingDistrict of ColumbiaAmerican SamoaGuamNorthern Mariana IslandsPuerto RicoUnited States Minor Outlying IslandsVirgin Islands, U.S.